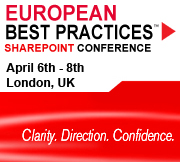 Yesterday the lunchtime sessions were announced for the European SharePoint Best Practices Conference in London starting on the 6th April. 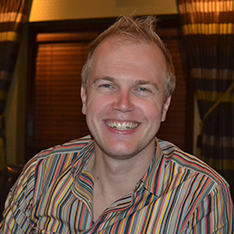 Andrew Woodward (Blog, Twitter) and myself will be having a panel discussion on SharePoint in Education. Come and join the conversation and get involved as we talk all things SharePoint and Eductation. If your not registered yet make sure you do and get yourself there for a great 3 days of none stop SharePoint.